Enter your email address and post code in the box below and you’ll be sent a link where you can download five Be Good Tanyas tracks. The Be Good Tanyas are releasing a "best of" collection in July, which features four previously unreleased tracks – new mixes of "Scattered Leaves" and "Song for R," plus the brand new tunes "Little Black Bear" and "Gospel Song. ", as well as twelve tracks from their first three albums. Thanks for getting in touch and clearing this up Sam. We’ll post any details of Sam’s UK gigs when they are confirmed. A Be Good Tanyas Tour? What is the status of The Be Good Tanyas? It’s been a long time since we last heard from them. Their last album, Hello Love, was released in 2006. 2007 was spent working on solo/other projects. But we’re nearing the end of 2009 and there’s still no news about the future. The band’s official website hasn’t been updated since 2007. So imagine my surprise when I received an email from Ents24 yesterday with the title “The Be Good Tanyas Tour Dates”. I opened the email hoping to find that they’d been working on a new album and would be touring the UK to promote it. I clicked through to the Ents24 website to see this: “The Be Good Tanyas + King Wilkie + Reid Burge At The Borderline, London Wednesday, 16 June 2010“. Just the one date then, but as the band would be unlikely to travel to the UK just for one gig, I thought maybe we’d hear news of more in the coming days and weeks. I decided to have a look on the Ticketmaster site, which says this: “Jun 6 Borderline London, Evening of, Be Good Tanyas & King Wilkie Songs, Samantha Parton (The B“. So they have a different date, and it looks like it’s just Sam Parton and not the whole band. But the description has been cut short and there’s no other information, so it’s not very helpful. Sam Parton appeared on the last King Wilkie album, so it seems more likely that it’s their gig, and she’s appearing as a guest. If Sam is guesting on another band’s tour where does this leave the Be Good Tanyas? I’ll post again when I have more information. You may have noticed that the site has a new look and much of the old content has disappeared. That’s because I’ve decided to run the site on WordPress, which is an open source blogging/content management system. This will make it much easier to update in the future. I will be adding some of the old site pages in the next few days, I’ll also be tweaking the theme which needs some work to make it look the way I want. 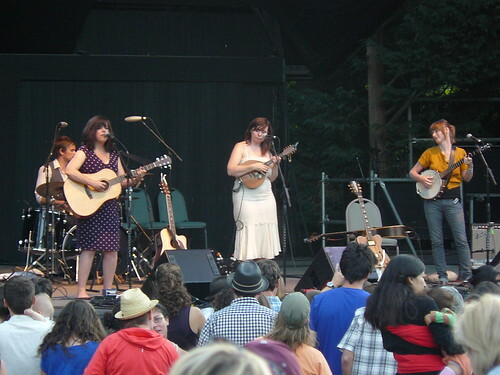 Copyright © 2009 The Be Good Tanyas. All Rights Reserved.